Located in Puerto Princesa City Centre, this hotel is within 1 mile (2 km) of NCCC Mall Palawan, SM City Puerto Princesa and Mendoza Park. Immaculate Conception Cathedral and Puerto Princesa City Baywalk are also within 2 miles (3 km). A restaurant, an outdoor pool and a bar/lounge are available at this smoke-free hotel. Free WiFi in public areas, free self parking and a free airport shuttle are also provided. Other amenities include a meeting room, concierge services and a 24-hour front desk. All 49 rooms offer free WiFi, premium bedding and flat-screen TVs with cable channels. Rainfall showerheads, coffee/tea makers and free bottled water are among the other amenities available to guests. The hotel offers a restaurant. A bar/lounge is on site where guests can unwind with a drink. Public areas are equipped with complimentary wireless Internet access. A roundtrip airport shuttle is complimentary for guests (available 24 hours). This business-friendly hotel also offers an outdoor pool, a library and a terrace. On-site self-parking is complimentary. 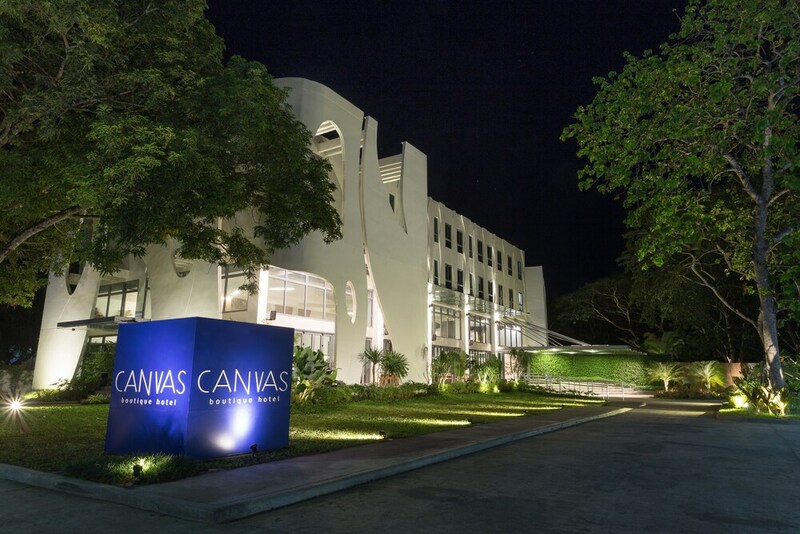 Canvas Boutique Hotel is a smoke-free property. The Painted Table – This restaurant specialises in Filipino cuisine and serves breakfast, lunch and dinner. Open daily. This property offers transfers from the airport. Guests must contact the property with arrival details 24 hours prior to arrival, using the contact information on the booking confirmation. No pets or service animals are allowed at this property.